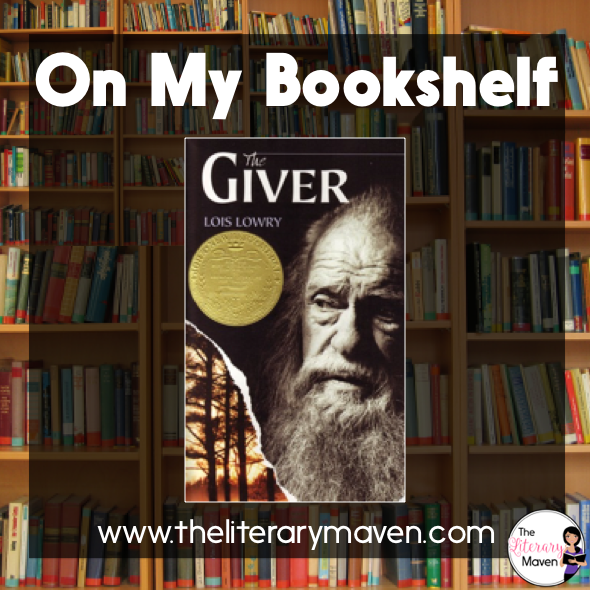 The basic plot from Amazon: The Giver, the 1994 Newbery Medal winner, has become one of the most influential novels of our time. The haunting story centers on twelve-year-old Jonas, who lives in a seemingly ideal, if colorless, world of conformity and contentment. Not until he is given his life assignment as the Receiver of Memory does he begin to understand the dark, complex secrets behind his fragile community. Lois Lowry has written three companion novels to The Giver, including Gathering Blue, Messenger, and Son. 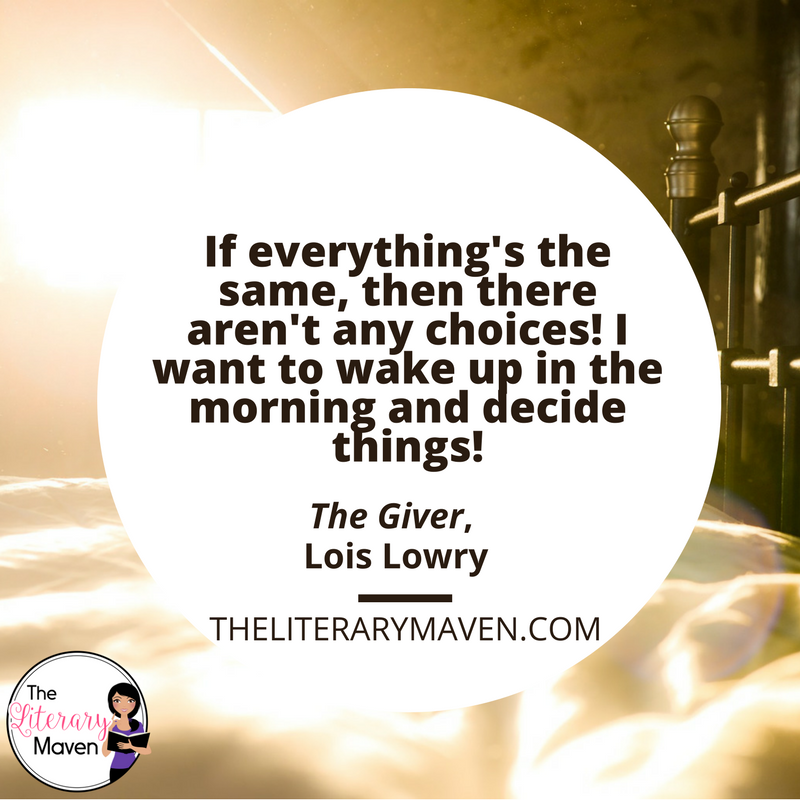 Why I liked it: The Giver is a novel I read as a young adult and have found just as good each time I reread it as an adult in preparation for teaching it. Life in a "utopian" society is revealed through the experiences of Jonas, a soon to be twelve year old boy who is transitioning into the adult world. Part of that transition is receiving his "assignment," the role he will serve in the community for the rest of his adult life. Jonas's assignment as the "Receiver of Memory" sets him apart from the rest of the community and he begins to see life in his community in a different light, eventually leading to his escape from it. The use of third person limited point of view focused on Jonas allows the reader to share the realization that the safety in "sameness" has terrible consequences. Classroom application: The Giver is appropriate for middle school and up since it doesn't have the mature content that many other dystopian novels do. It is also one of four connected novels by Lois Lowry, so if students like this one, you can recommend three more. As a classic dystopian text, the novel could be used as a core text while students read their choice of other dystopian novels independently or in literature circles. This would be a great way to compare themes or texts within a genre (Common Core Literature Standard #9). 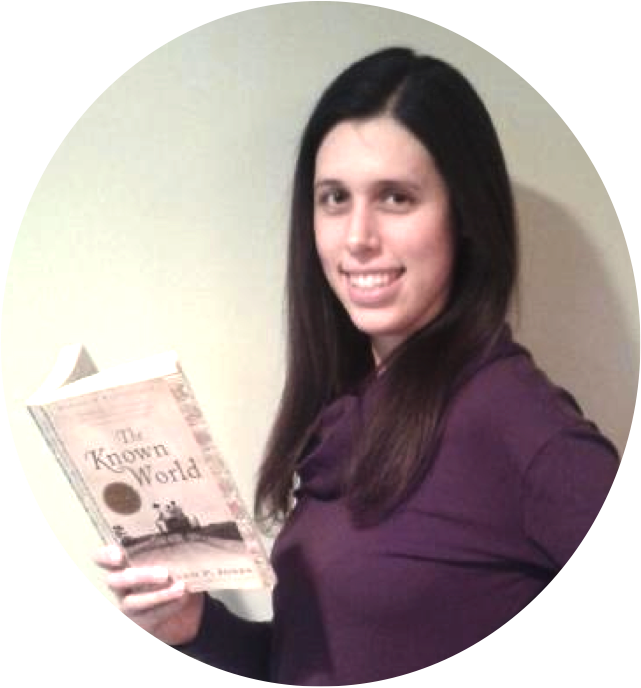 The emphasis on "precision of language" in the novel presents a great opportunity to discuss the difference between denotation and connotation as well as how words can have shades of meaning. I have students examine names of towns, some positive and some negative, for both their denotative and connotative meanings. Students then create a name for the Giver community with positive connotations and rewrite a newspaper article announcing the new name so that the article has a positive tone rather than a neutral one. Nonfiction connections can easily be made with The Giver. If you have a subscription to Scholastic Scope, recent articles about killer smog in London and the air pollution crisis in Beijing, dust storms & pollution in New Dehli, plastic bags, living on Mars, stress caused by technology, and lack of water are all possible connections. NewsELA also has a text set related to The Giver. Anything related to government control, such as China's one child policy, would also make for a great connection. To tie in some poetry, I like to use the poem "Utopian" by Alicia Ostriker and to tie in narrative writing, students create a book of memories they'd like to be passed on. Students select five or more emotions or feelings and then a memory to convey each one. Each memory is limited to 500 words to push students to really focus in on a specific moment similar to Jonas's first memory from the Giver of the excitement of sledding. 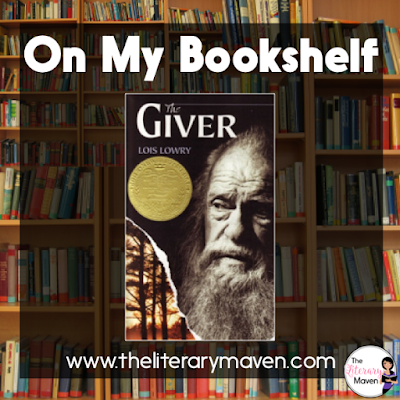 If you are interested in purchasing a copy of The Giver for yourself, you can find it on Amazon here.